Creme de menthe chocolate cake balls! 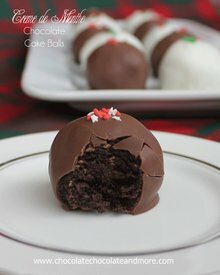 When life messes with your cake creation make cake balls! That’s the story behind these delicious balls of Cream de Menthe Buttercream frosting and chocolate cake.